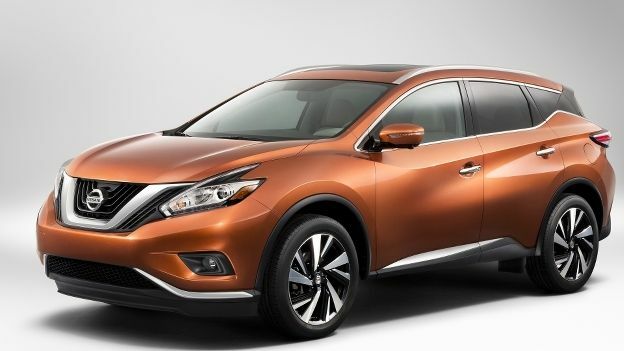 Nissan has unveiled the 2015 Nissan Murano SUV at the New York Motor show. The third-generation Murano is positively bulging with urban tech essentials, and the UK will get a hybrid version, onsale later this year. From the NASA-inspired Zero Gravity seats to the 8.0-inch colour multi-touch control instrument panel, Nissan claims it has put tech first with the new Murano SUV. "We've learned from personal electronics that consumers aren't always looking for devices that do more, they just want it done better," said Shiro Nakamura senior vice president and chief creative officer, Nissan. "People rarely read the directions for their smartphone because they know intuitively how to operate them. We believe vehicles should behave the same way - it's a new and better way to travel." The car is based on the Nissan Resonance Concept shown at the Detroit Motor show particularly the boomerang lights and floating roof and Nissan claims that the futuristic styling has reduced the drag coefficient to 0.31, on par with many sports cars. Audio systems include a Bose design with 11 speakers (including dual subwoofers), HD Radio and SiriusXM Satellite Radio. Also offered are NissanConnectSM with Navigation and Mobile Apps. Other interior features include standard Dual-Zone Automatic Temperature Control and Nissan Intelligent Key with Push Button Ignition, along with leather-appointed seating, heated steering wheel, steering wheel position memory, driver's seat and outside mirror memory, power folding rear seats and Remote Engine Start with Intelligent Climate Control.